Dave is an instructor and FAA Pilot Proficiency Examiner (PPE) in the Embraer Phenom 100 and Phenom 300 and has assisted owners with in-aircraft type rating training, annual recurrent training and mentoring as well as factory acceptance and delivery from Embraer factories in Brazil and Florida since 2009. He has over 3,000 hours in Phenoms and as a Pilot Proficiency Examiner (PPE), is authorized to give annual 61.58 FAA Checkrides in both the Phenom 100 and Phenom 300. In addition to the Phenom 100 and 300 he is also type-rated in the Citation Mustang and the Embraer Legacy 500. Before his transition to business aviation, Dave served as an aviator and instructor for 23 years in the U.S. Air Force in front-line operational F-16 units in Europe as well as the United States and earned instructor and check airman status in the F-16C. He also served as an instructor and check airman in the T-37 for Air Force pilot training instructors at Columbus AFB and was the Assistant Chief of the 14th Flying Training Wing’s Standardization and Evaluation Division, evaluating the proficiency of the Wing’s instructors and supervisory and leadership staff. 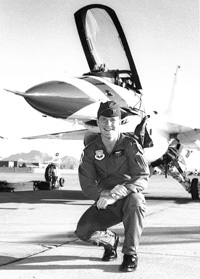 He was selected to fly the Lead and Opposing Solo #5 and #6 F-16 aircraft with the Air Force Demonstration Squadron “Thunderbirds”, where he flew over 150 air shows in all 50 states as well as in Europe and South America. 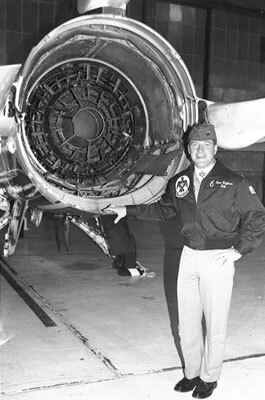 After leaving active duty, Dave served in the Air Force Reserve as Commander of the 39th Flying Training Squadron at Moody AFB, GA, and was an instructor pilot in the AT-38 supersonic jet trainer. Dave enjoys meeting and working with each client and tailors his approach to their style of learning in order to meet their training needs. He and his wife Beth have two grown children. When he’s not instructing, he enjoys traveling and the outdoors; he lives in Charleston, SC.